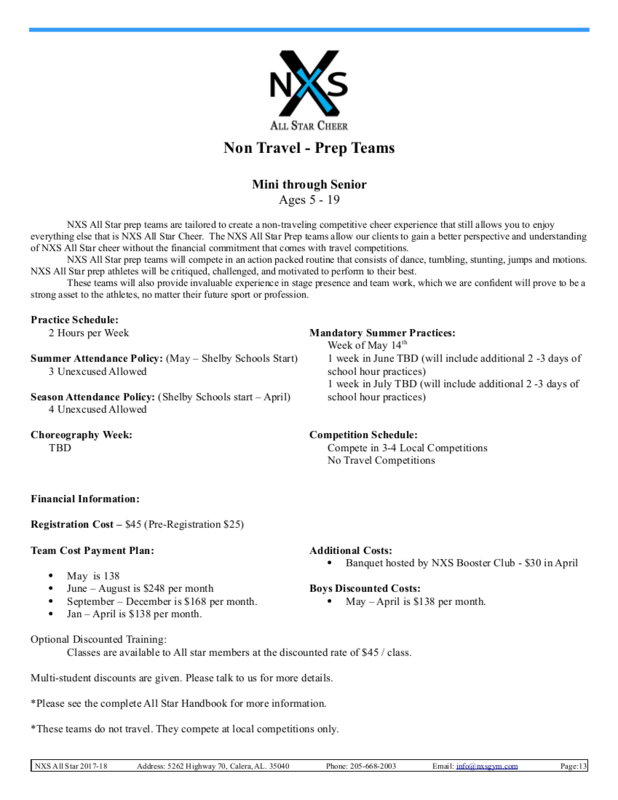 NXS All Star Cheer is an competitive cheerleading program designed for athletes of all skill levels to come into the sport of cheerleading from the ages of 5 and up. Your student athlete will learn cheer motions, cheer jumps, how to tumble, stunt, & dance. 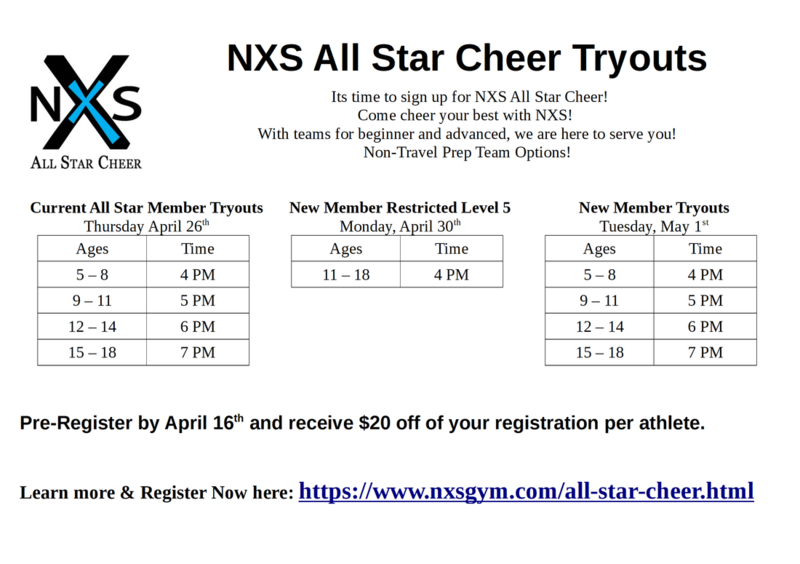 If you are looking for a high energy, fast paced competitive sport, NXS All Star Cheer is for you! • Perform in front of hundreds of people. • Never Practice on Sunday! • Only Christian music is allowed in the gym. • Foul language is not tolerated at any time. 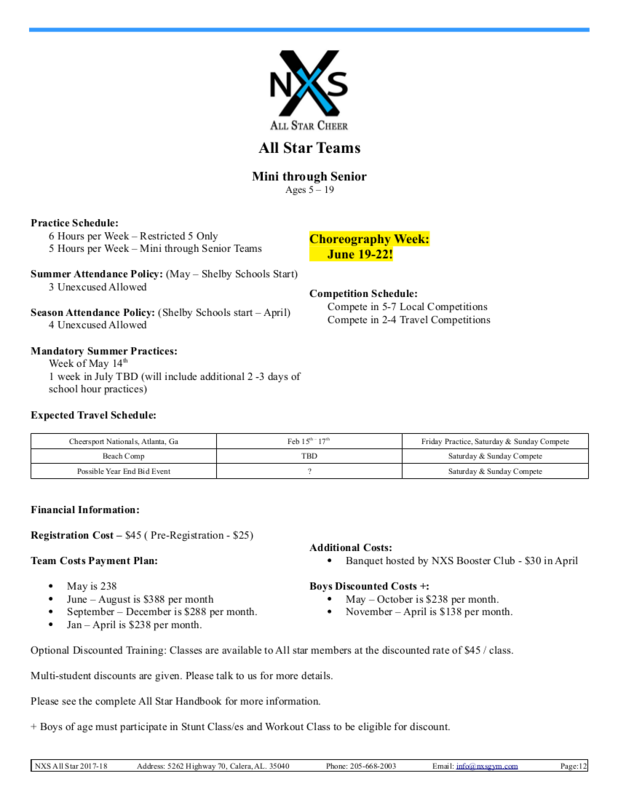 Cost is split over manageable monthly installments and Includes everything you need (training, shoes, practice uniforms, dress uniform, competition fees, choreography, music, etc). Please see the team specific page below and view the Handbook on our downloads page for all pricing information. Dont miss the amazing discount for boys! 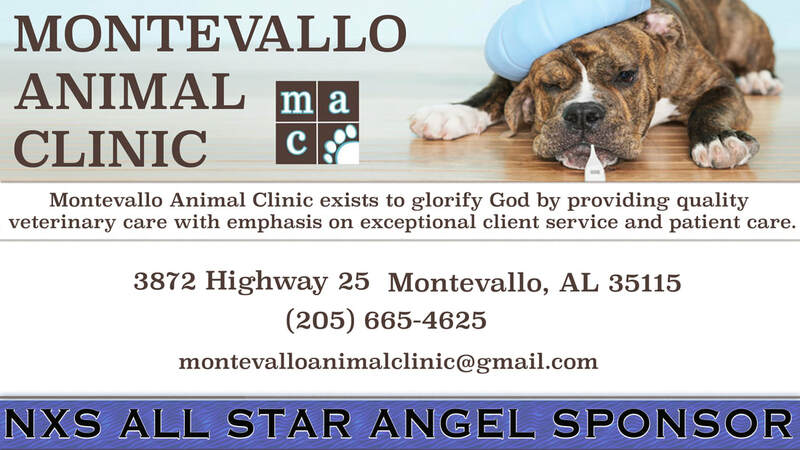 Deepest Thanks to our All Star Angel Sponsors! NXS All Star Angel Sponsors not only give to invest in a specific athlete but also generously give to the All Star program's general scholarship fund. Thank you again!